I first contracted this affliction shortly after the players’ strike of 1981. After filming an interview with manager Billy Martin in the A’s locker room, my producer and I slipped into the lower deck stands of the Coliseum behind first base. My professional film camera was our only ticket. It was a brilliant afternoon, and I reveled in the sudden accessibility of the game I had loved from afar as a youth. The next night I dragged my wife to a game and started to follow the A’s on a daily basis. But at that time we lived in San Francisco, a few minutes from Candlestick Park, and I often slipped out to watch the Giants too. Duality did not always afflict me. I grew up in the New York area, for a half century the only three-team market in baseball history. As a kid in Brooklyn and Long Island, I was the only fan in my family, and I followed the Dodgers of Snider, Campanella, and Reese, intrigued by their nicknames – Duke, Campy, and PeeWee. Then one fateful day those infamous Bums of Brooklyn rocked my world by announcing their move to California, along with the Giants (a team I knew or cared little about, though my ten-year-old mind was dimly aware they had a player named Mays who was pretty good). Suddenly New York was a one-team market, and the previously hated Yankees became my hometown heroes. I pedestaled Mantle, Skowron, and Berra – the Mick, Moose, and Yogi. What kid could resist those names? I watched games on TV but never went to one. And I discovered that baseball on radio evoked vivid scenarios in my imagination. After high school, my interest in sports waned. My Vietnam-era generation disdained athletics as pointless and non-intellectual, and in college I found other interests. I moved to the Bay Area for graduate school, totally missed the A’s three World Championships in the early 70s, and continued to ignore baseball, and all sports, until that day in ’81. 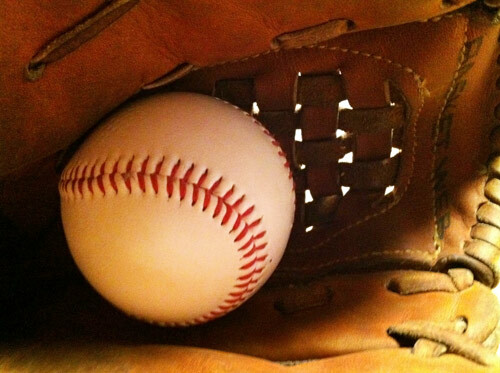 My baseball epiphany that summer blossomed into a full-fledged obsession. My wife and I celebrated Mother’s Day in ’84 with our infant daughter at Candlestick and dragged my parents and our toddler to see the A’s the following year. My mom rekindled a passion for baseball, muted since her youthful days attending Dodgers games at Ebbets Field. I basked in the occasional glories of the A’s and the Giants and – no fair-weather fan – I supported them through their frequent setbacks. Life was good… until 1989, when the A’s and Giants faced each other in the World Series. This Battle of the Bay conflicted me. I glommed a ticket to the third game of that series at Candlestick (along with several hundred thousand others who now claim they were there), after firmly deciding I would root for Jose Canseco, Mark McGwire, and Rickey Henderson of the A’s, then leading two games to none. Or… should I cheer for the underdog Giants of Will Clark and MVP Kevin Mitchell, playing their first Series game at home? Half an hour before the scheduled start, the earth rolled, shook, and shimmied. I considered the possibility that the weight of my indecision caused that quake, but ultimately, I decided it was a freak coincidence. Somehow I survived ’89 unscathed, my bicoastalism intact, but interleague play has challenged me again. Early this year, I took my teenage son Danny to a Giants-A’s game and flashed back to my confusion in ’89. I decided to root-root-root for the home team and wore black-and-orange Giants regalia, but Danny wore a green A’s cap and an A’s T-shirt peeking out from under an open Giants jersey. People gaped and gasped and hooted as we walked by. “Dude, pick a team!” someone yelled. Indeed, Danny’s friends rag on him about the dualism he contracted from his dad. “You have to root for one team to be a real fan,” says a girl in his school, a true-blue A’s rooter who likes them because star pitcher “Barry Zito is so hot.” Another friend, a Giants supporter, barely acknowledges the existence of a team in Oakland that plays in “that other league where the pitchers don’t even come to bat.” But to me, the difference in the two leagues is fascinating. Aren’t we better fans if we watch two games a day? Why is this so heinous? Is adoring two teams like two-timing a lover? Are we cheating on the Giants if we also root for the A’s? Why are we “bad fans,” just because we choose not to choose? True, no other two-team market has many dual-allegiance baseball buffs. In Chicago, the Cubs and White Sox share a legendary geographic rivalry, and few in New York favor both the (once-again-hated) Yankees and that newby expansion team, the Mets. In LA, the Dodgers and Angels have separate followings. BUT (and here’s my other dirty little secret) I have discovered dozens of other closeted bicoastal baseball fans in our region. Perhaps it’s the pragmatism of the West Coast, the refreshing weather of Northern California, the tolerant liberalism of the Bay Area. Maybe we are just indecisive – or weird. Whatever. I remain bicoastal and unrepentant. And now… I’m out of the closet. Bill Zarchy (http://billzarchy.com) is a freelance director of photography, writer, and teacher based in San Francisco. He has shot film, video, and HDTV projects in 30 countries and 40 states, including interviews with three former presidents for the Emmy-winning West Wing Documentary Special. Other credits include the Grammy-winning Please Hammer Don’t Hurt ‘Em, the feature films Conceiving Ada and Read You Like A Book, and the PBS science series Closer to Truth, as well as countless high-end corporate projects for a wide variety of technology and medical companies. He currently blogs at http://billzarchy.com/blog. This article was also posted here on Bill’s blog. I feel it’s quite possible to be a fan of both teams and while i continue to bleed black and orange i will always have a place in my heart for the A’s.